Do you want to test your strength, have fun, and help raise money for charity.. all in the setting of the world-famous Aintree Racecourse? 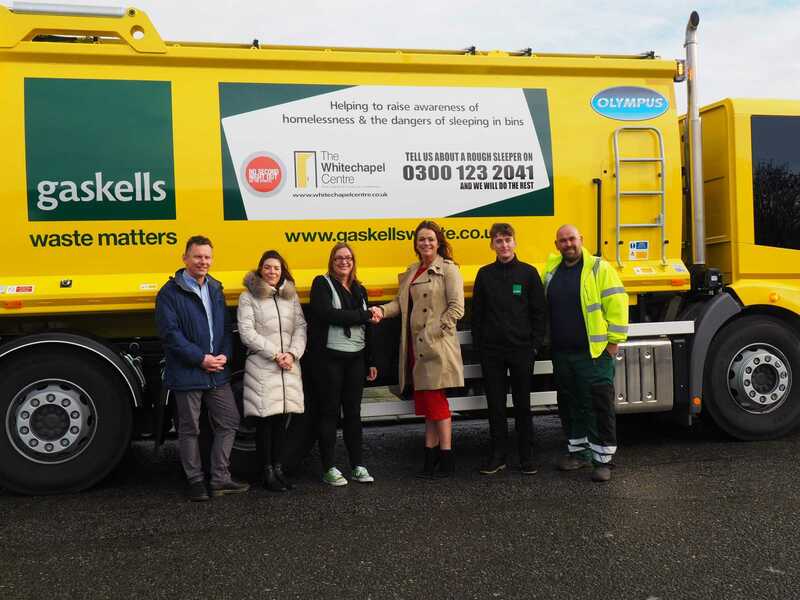 Gaskells Waste chosen charity is The Whitechapel Centre, which helps homeless people in and around Liverpool. 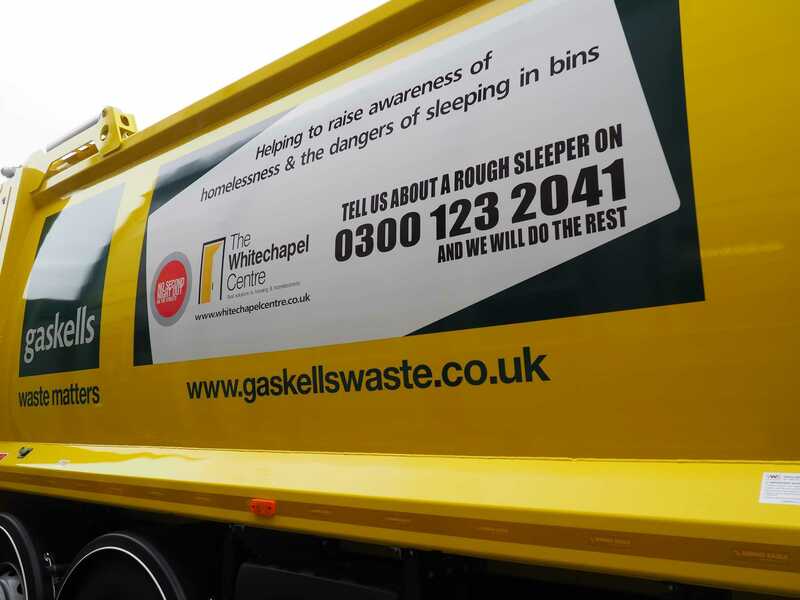 The work they do is invaluable and very close to our hearts as our drivers see people sleeping on the streets every single day. We’ve already taken part in a number of events to raise money for them, including a sleepout, and having two of our bosses locked up, but now want your help for a spectacular fundraiser at the world-famous Aintree racecourse, but now want your help. Do you think you and your team could pull THIS 17 tonne bin truck? 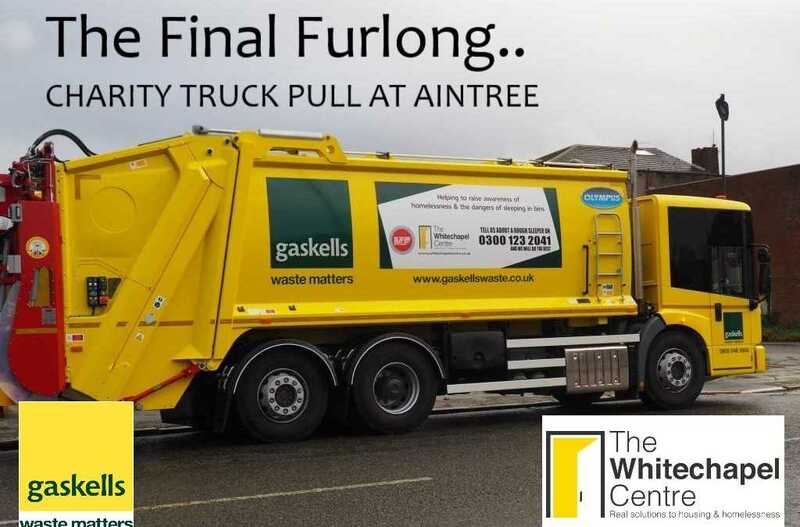 The Gaskells Whitechapel Centre Charity Truck Pull 2018 is taking place at Aintree Racecourse on Wednesday 17th October. We’re looking for teams of between 6 and 8, who’ll compete to see who can pull our Whitechapel Truck for half a furlong and get to the winners post the quickest. Whichever team pulls it the fastest gets bragging rights in the inaugural Gaskells Charity Truck Pull, and a trophy. We’re asking for a minimum £250 entry fee for each team which goes directly to The Whitechapel Centre. Any sponsorship you get on top of that is up to you. You can split it half and half between The Whitechapel Centre and a charity of your choice, or give it all to your chosen charity. If you’re interested, and twant to confirm your place, get in touch please.